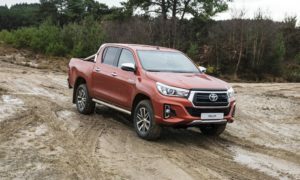 Toyota has granted a midlife update on its Hilux range, affording it with a pampered facia that not only looks the part, but has also managed to catch the attention of many, including close rivals. We drive the facelift Hilux to actually witness what it has in store for us besides the cute face. 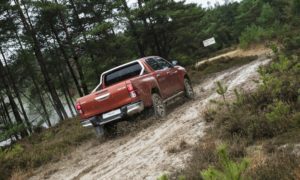 Well… For starters, the changes have only been applied to the SRX and Raider models, both of which benefit from a bumper and grille that was initially worn by the limited edition Hilux Dakar. 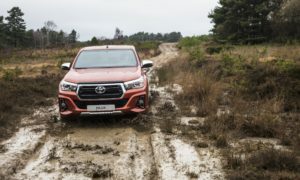 Our test unit was the Hilux 2.8 GD6 4X4 Raider 6MT model, which came in an intimidating dark grey colour that not only added to the fearsome look, but also added character when synced with those stylish 18inch alloy wheels featured on our test unit. Other benefits that come with the facelift model include a list of standard features that are commonly optional on other models and rivalling brands such as the Ford Ranger, VW Amarok and Nissan Navara. These include multi-dimensional fog lamp garnishes that incorporate intersecting horizontal and vertical elements decked out in a matching black – and chromium effect. Full LED head lights with daytime running lights (DRLs) and LED foglamps. 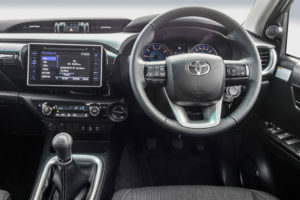 Changes to the design have proved to be a huge step in the right direction for Toyota, with the new looks proving to gaining traction in terms of popularity, along with more oomph to battle within its relentless segment. Interior styling remains unchanged from the previous model, meaning the facelift model carries over all the interior detailing of the previous range. Our test unit featured high-grade fabric interior trim, air-conditioned glovebox, multifunction leather steering wheel, automatic climate control, cruise control, a TFT colour multi-information display, 12 – and 220-volt accessory connectors, rear armrest with cupholders to seven airbags (including curtain and driver knee). Comfort levels are on par with close rivals, with little to critic from the exceptional ride quality and car-like look and feel of the interior design. Our test unit was powered by the punchy 2.8-litre 4-cylinder GD engine pushing 130kW/420Nm. This unit majors on refinement when driven with minimal gear changes required and it also comes with Eco and Sport modes to suite different driver moods. In Sport, the unit does give good power but can make clutch balancing a tad difficult when changing gears resulting in some easy wheel spin on uneven roads. Linked to a 6 speed manual transmission, our test unit was the 4×4 spec with 4H, 4L and a Low Range whilst a locking differential comes standard. 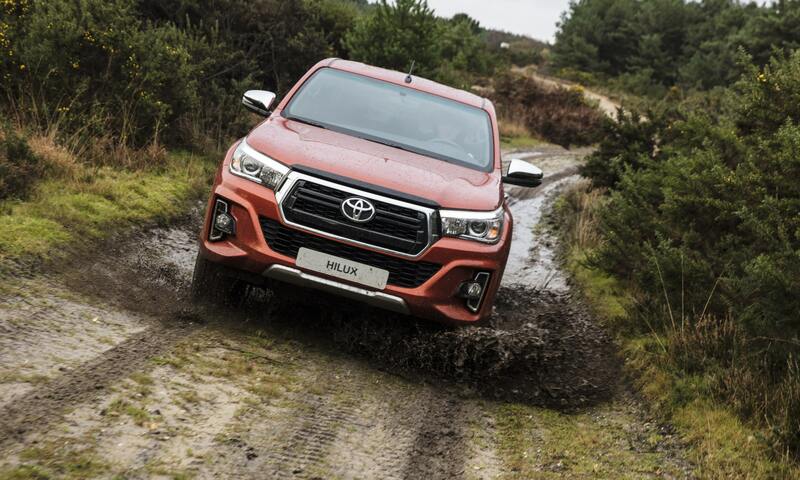 Ride refinement is good on smooth roads but the Hilux can suffer from being bouncy when unladen (something that affects almost all rear leaf spring axle set ups). Noise insulation is good resulting in long trip comfort. Toyota claims a 11.2 0-100km/h sprint and a 180km/h top speed, figures I would not dispute at all. We averaged 9.0l/100km through our weeks test, a figure higher than the 7.6l/100km claimed by Toyota. The Toyota Hilux 2.8 GD-6 4X4 Raider 6MT on test is priced at R616 600, rivalling the Ford Ranger 3.2 TDCi Double Cab XLT 6MT 4X4 HR model which comes in at a base price of R604 800, whilst the VW Amarok Highline 4Motion comes in at a base price of R627 000. The facelift Hilux comes with a 5 year/90 000 service plan and a 3 year/100 000 warranty as standard. 12 months/10 000km service intervals.